So you want to become a VA? Perhaps you have just launched your VA career? Or, you are a seasoned professional — and are always on the lookout for additional resources? Below are some of the best resources on the web, in my humble opinion, for information that relates to the industry and staying “on top of your game”. The global economy has given rise to a cost-efficient alternative to traditional on-site staff for businesses, and the Virtual Assistant (VA) profession is skyrocketing! The recent economic downturn has sent businesses in search of a viable alternative to full-time staff. A VA is the answer. Smaller businesses need outside expertise, but can’t afford to hire traditional employees. VA’s step up and meet that challenge! A VA has years of experience as an executive/administrative assistant in a traditional office setting and offers that experience to your small business on a contractual basis. Many VA practices offer specialized skills in areas outside office administration and provide their clients the benefit of that knowledge. The geographic limitations of this type of assistant and special project manager are non-existent. In fact, a VA can provide a secure, consistent contact person regardless of where a business executive must travel. A VA can also operate a “state-side” office for international businesses. VAs maintain a technologically up-to-date office for use by your business. They receive assignments via phone, fax, mail or e-mail and return the completed work by e-mail, fax, courier, or post. VAs operate our own businesses and keeping clients happy is “good business” for every VA.
VAs make doing business simple, rather than more complicated. VAs are professional, ethical business partners that bring a distinct set of talents and skills to the table to help build and maintain your business professionally and affordably. The advantages of a VA are extensive — including lower total labor costs. With a VA, only the time on-task is billed. Period. There is no overhead, no additional office space required, no taxes, no Worker’s Compensation, no social security payments, no additional equipment, no vacation, and no wasted time socializing at the office. Simply put, VAs offer your business excellent service with no hassles. A VA can be utilized on an as-needed basis when your business is overwhelming, they can be contracted for a standard number of hours per week to meet your day-to-day business needs, or they can be available for use only on special or seasonal projects. And a VA can cover the office while you take a much-needed vacation! ©Copyright 2001, Angela Allen. All rights reserved. http://www.entrepreneur.com/Your_Business/YB_SegArticle/0,4621,289071-317—-,00.html – Why you should work from home now. http://www.searchenginewatch.com/facts/index.html – Web Searching Tips for the beginner through the expert. www.google.com – My favorite search engine. http://www.entrepreneur.com/Your_Business/YB_SegArticle/0,4621,289071-317—-,00.html– Everything from how to design your home office ergonomically, select furniture for your budget to layout and organization basics to get you started NOW. http://www.inc.com/guide/item/0,7462,CHL4_GDE45,00.html – Lots of great information on setting up and running a home office from Inc.com. http://www.officedepot.com/BusinessTools/web – resources and reference materials for those working on the web. http://www.officedepot.com/BusinessTools/sbh/ -Office Depot’s Small Business Handbook, full of excellent information! http://www.irs.ustreas.gov/tax_edu/faq/faq12-2.html – IRS FAQ on Independent Contractors. http://www.learnthat.com/courses/business/audit/index.shtml – How to “Audit-Proof” your home business – what raises “red flags” to the IRS. 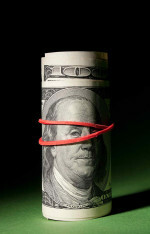 http://www.bankrate.com/brm/itax/Edit/tax_season/stories/041300.asp – All about audits – personal and otherwise. http://www.symantec.com/avcenter/ – Symantec (aka Norton Anti-Virus) Site’s listing of virus threats with definitions. http://dispatch.mcafee.com -Mcafee’s Virus Update/Information site. http://www.zdnet.com/zdhelp/stories/main/0,5594,2504682,00.html – PC Security Basics from zdnet.com. Low system resources cause computer crashes and are one of the #1 causes of headaches for VA’s, IMHO. www.vistaprint.com – Excellent, quality business cards, with the option for a back side print (great for listing services for those unfamiliar with what a “virtual assistant” does. Quick delivery, great product and outstanding customer service. Impact of Economy on Virtual Assistance Industry: Times of Trouble or Cause for Celebration?